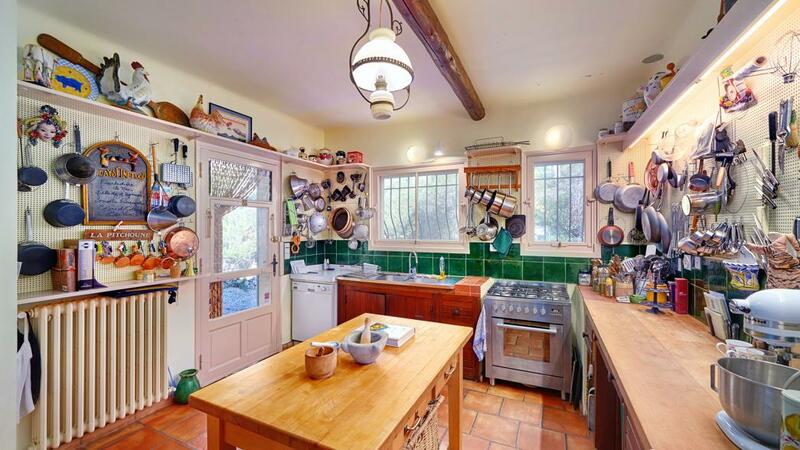 Julia Child gave up her French house in 1992. 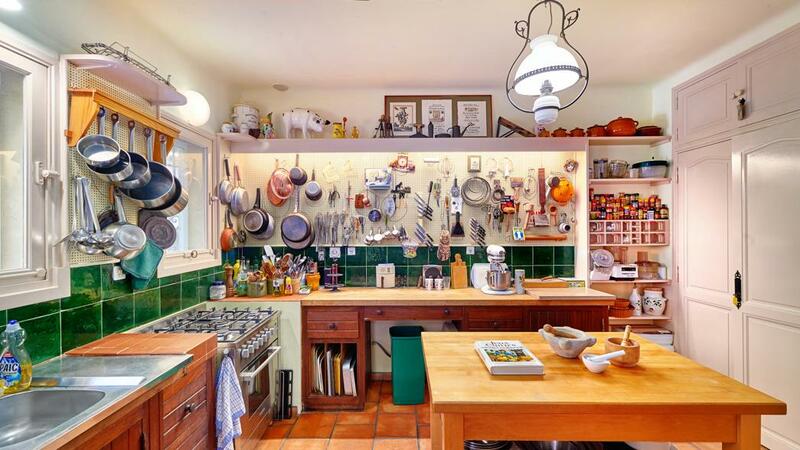 The recent sale listing shows Julia’s kitchen now. 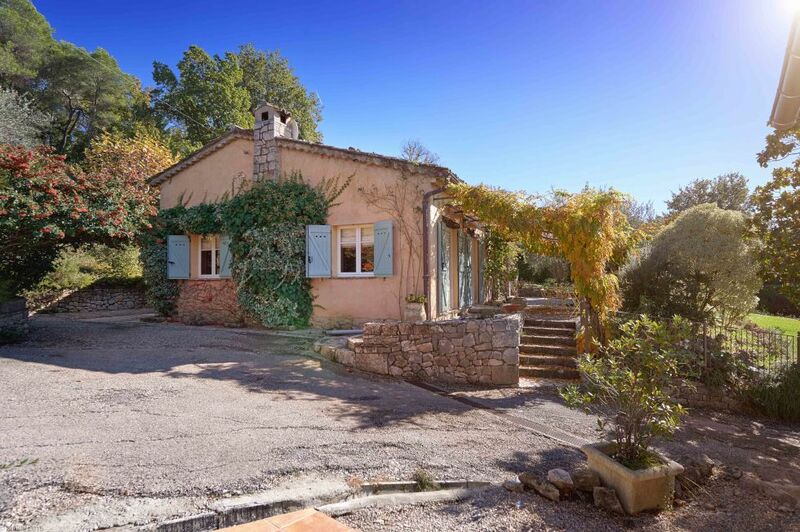 Last Fall, the modest pink stucco house Julia Child and her husband Paul built for themselves in the south of France over 50 years ago, went up for sale. Julia had not occupied the house since 1992 — just a year after her dear friend and cookbook collaborator Simone Beck died. 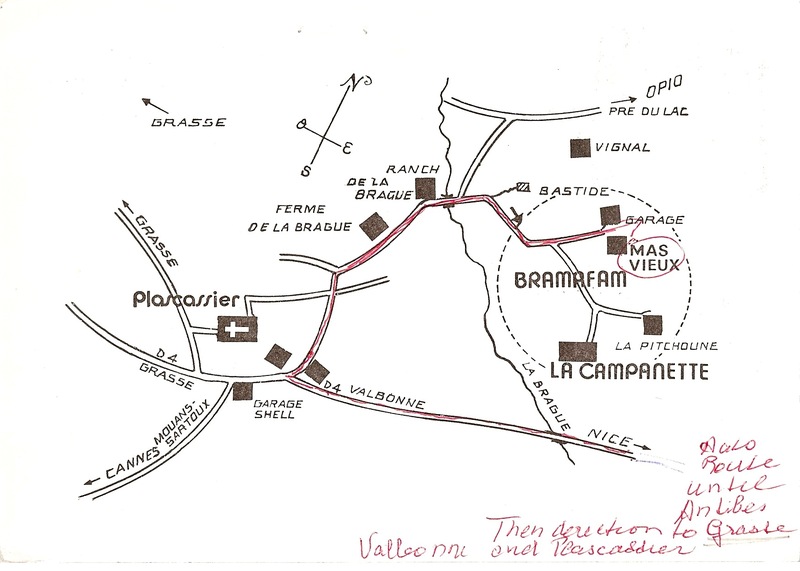 That was significant since Julia’s and Paul’s house was on the same property owned by Simone “Simca” Beck and her husband Jean Fischbacher. 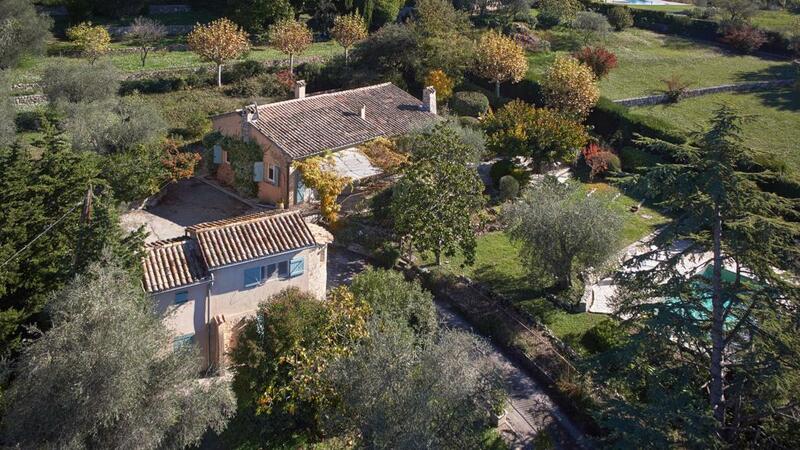 The compound, called Bramafam, is near Grasse on the French Riviera. The Child’s house was La Pitchoune, or “the little one.” Simca’s house, just around the corner, was called the Mas Vieux. 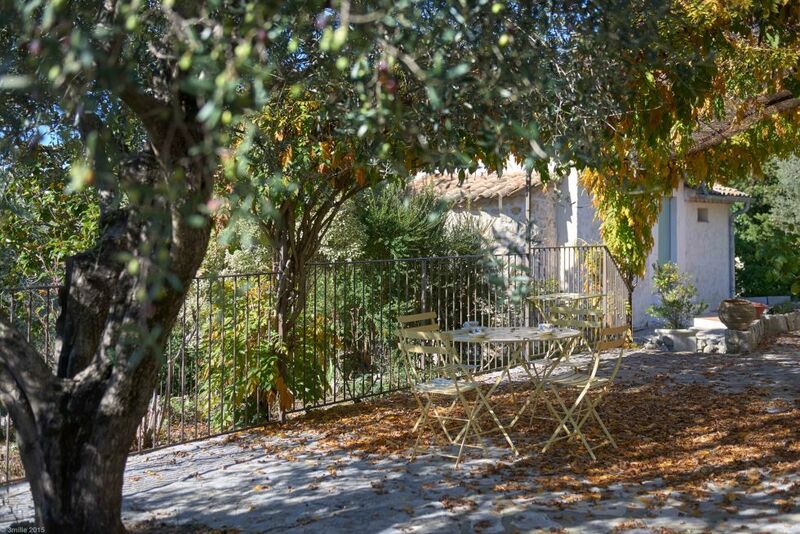 Julia and Paul Child had invited me and my former husband to use La Pitchoune when we made yearly trips to France. But we never accepted the offer. We had met and entertained the Childs at our home in Chicago early in my food writing career at the Chicago Tribune and the four of us also went out together to explore Chicago’s French restaurants. But we didn’t see Paul and Julia regularly and neither of us felt comfortable asking to use the house. I had reviewed Julia’s cookbook. And how could we ever reciprocate? 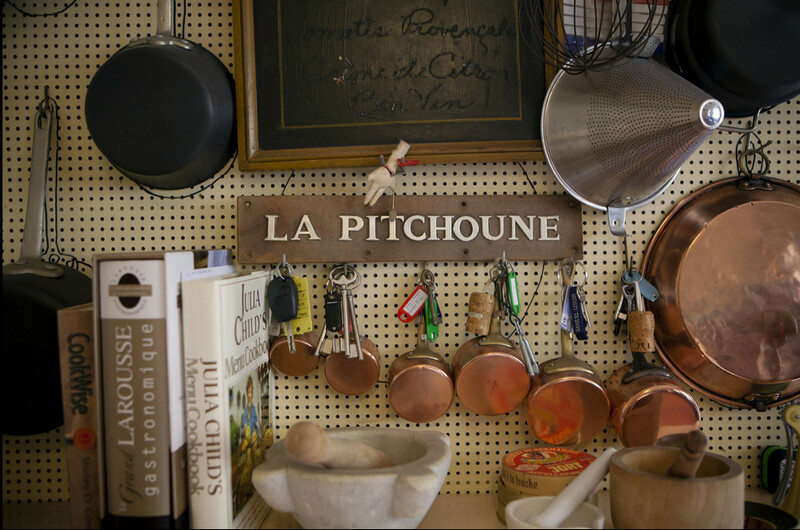 Yet until La Pitchoune hit the market online I had never been inside. How dumb of me not to have asked to see it when I visited Simca! Naturally, the kitchen was the most important of the rooms in the 3-bedroom, 1500 square foot cottage. The owner, a former student of Simca’s, had put it on the market for $880,000 according to the New York Times, which first reported on the sale last November. 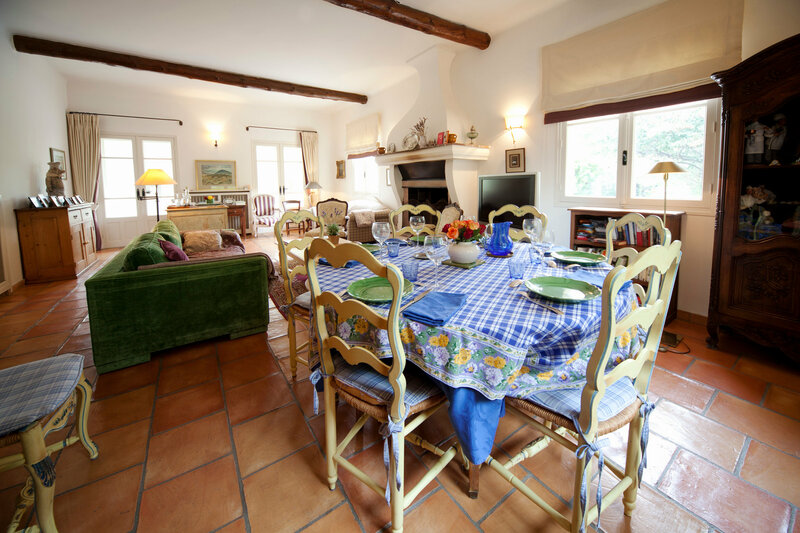 And, according to the Times, “Julia’s kitchen remains largely intact since the last meal she cooked there, a typically Provençale boeuf en daube, in 1992.” However, there were telltale signs that changes had been made in the intervening 23 years, not limited to the addition of a pool and ensuite bathrooms. First, Julia’s original La Cornue range was gone. 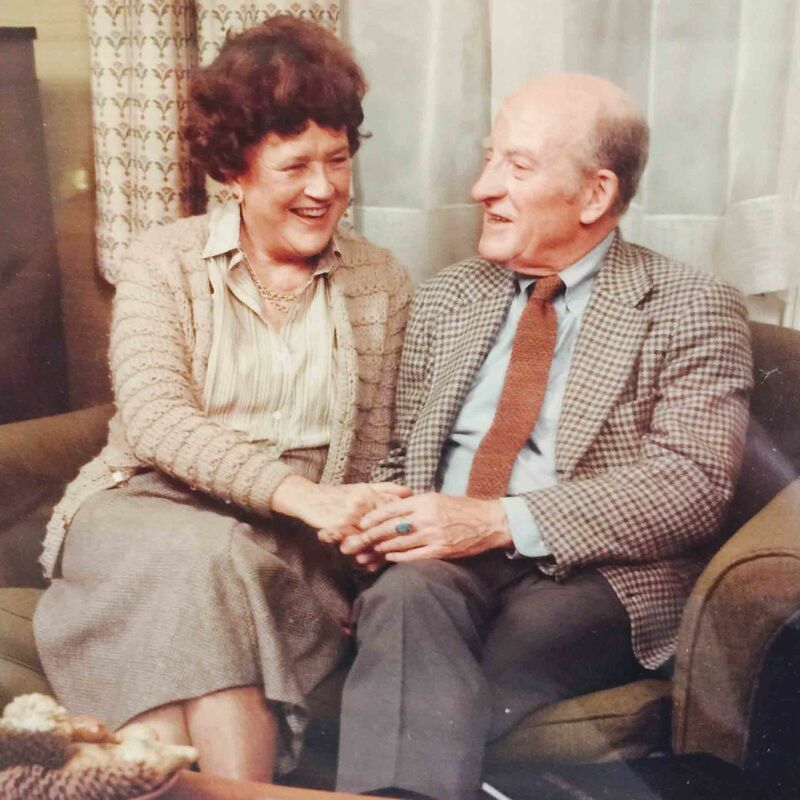 According to the Times, former Herald Tribune food writer and cookbook author Patricia Wells had asked to purchase the stove from Julia when she turned the house back over to the Fischbacher family following Simca’s death in December of 1991. Wells replaced the stove and took the Cornue home. Looking across, it’s clear that the height of the counters was unchanged and an attempt to preserve Julia’s kitchen aesthetic had been made. 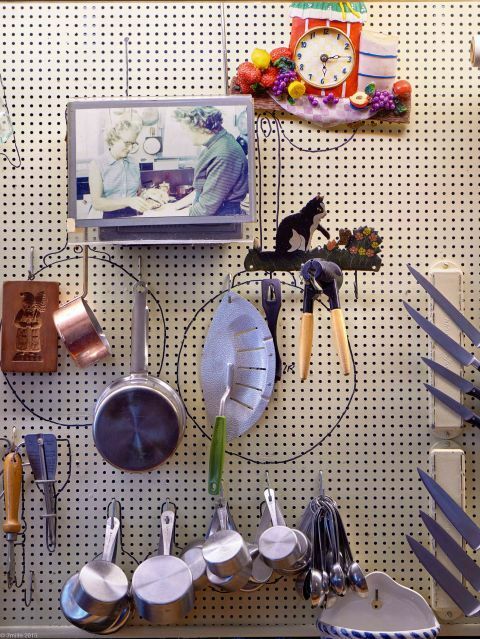 What did survive in the kitchen was the famous pegboard Paul had put on the kitchen walls of their house in Cambridge, Mass., and here in France as well. But a close look shows that things had been moved around and that the outlines of the various pots Paul made on the pegboard — a shorthand for putting things away — were sometimes ignored. Yet well-loved French copper saucepans, a marble mortar that was a fixture of French kitchens during the 1970s, and a conical chinois or “china cap” strainer were still in use. Magnetic “Magnabar” strips were Paul’s choice for holding knives. Those were were still intact. An early photo of Simca and Julia had been added as well. La Pitchoune’s great room combines the living and dining spaces. 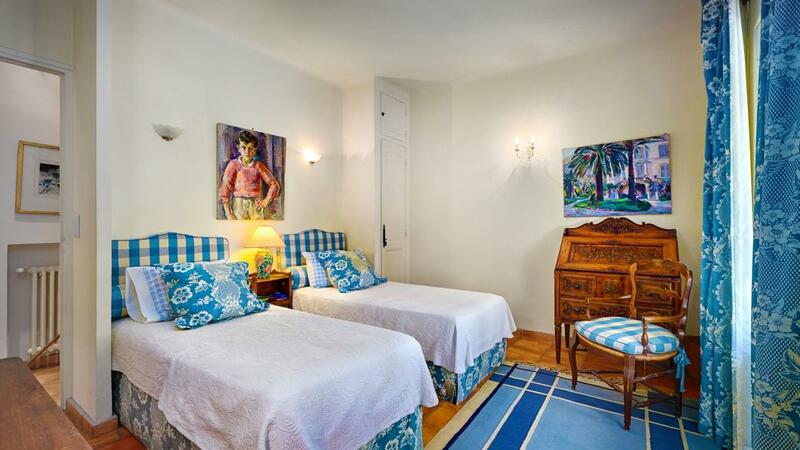 One bedroom had been redecorated with brightly colored Provencal fabric and draperies. A lovely aspect of Simca’s house was the grapevine covered terrace covered which had a spectacular view. 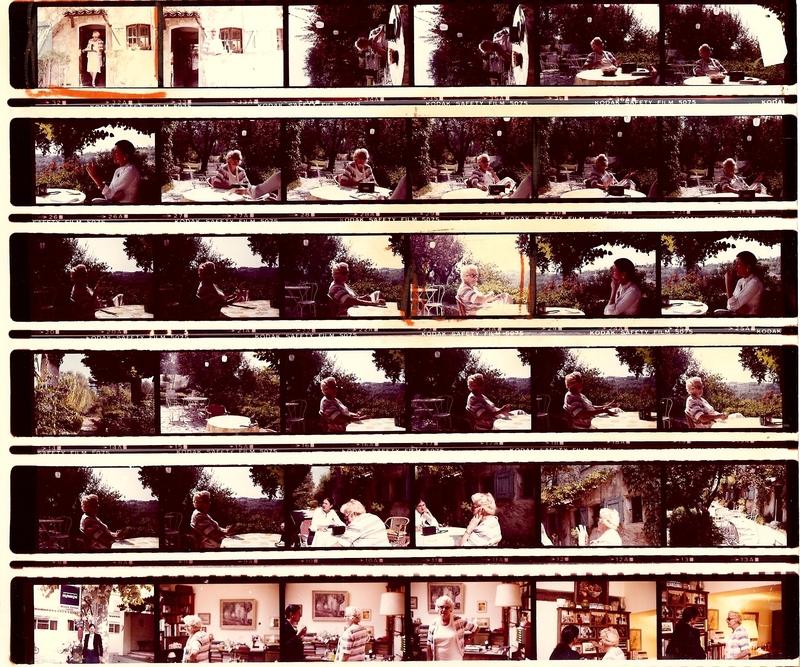 While the film of my visit to Bramafam is either buried in the Chicago Tribune photo archives, or long gone, this proof sheet of my visit survived. The photos are not much bigger than postage stamps but it is possible to see Simca, wearing Hermes spectator pumps, bringing a tray of coffee outside, where we talked, and some photos inside, as well. Julia’s terrace was similar. I wonder who’s sitting there now? Such a nice article! Despite your not actually visiting La Pitchoune yourself (with Julia, or with Simcha), I felt like I was there with you via your story and pics! Thank you for sharing with us! Hi, Jane! Loved the story. I interviewed Julia for Newsday’s LI Magazine several eons ago and went to Cambridge. She cooked lunch for herself, Paul and me in her kitchen. A wonderful day with a great woman.